LED tape light is a 12v or 24v low-voltage kitchen lighting option that is flexible and can fit into a wide variety of nooks and crannies. Light strips are extremely thin and offers high light output and is virtually undetectable when installed correctly under kitchen cabinets. Tape light uses LEDs that require low voltage power and is a perfect upgrade when remodeling the kitchen or building a new home. 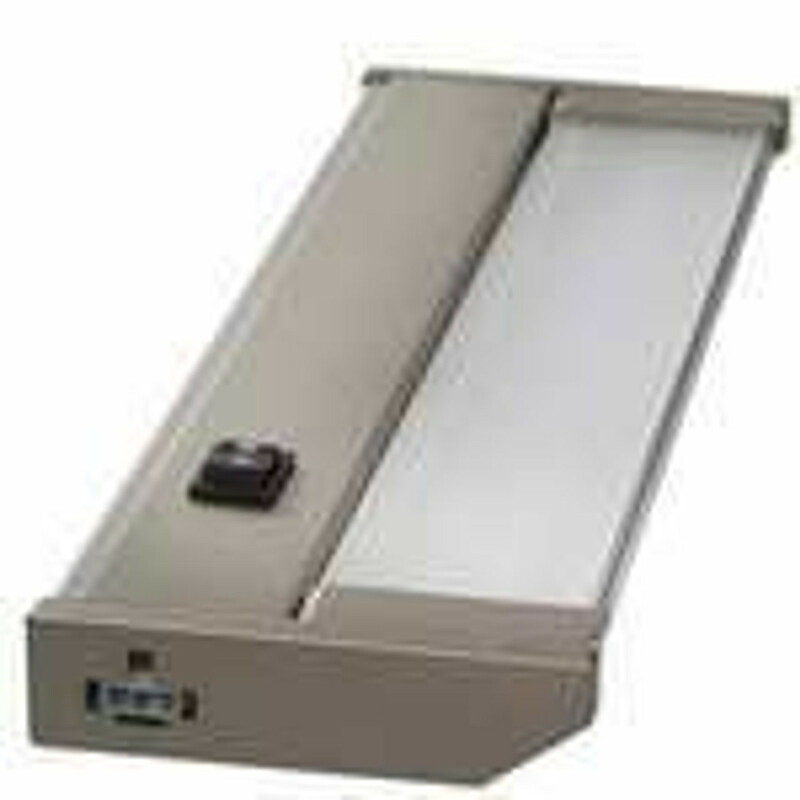 LED Light Bars are designed to work with 120v standard voltage. It also comes with a built in diffuser lens that distribute light smoothly and evenly, eliminating any hot spots. 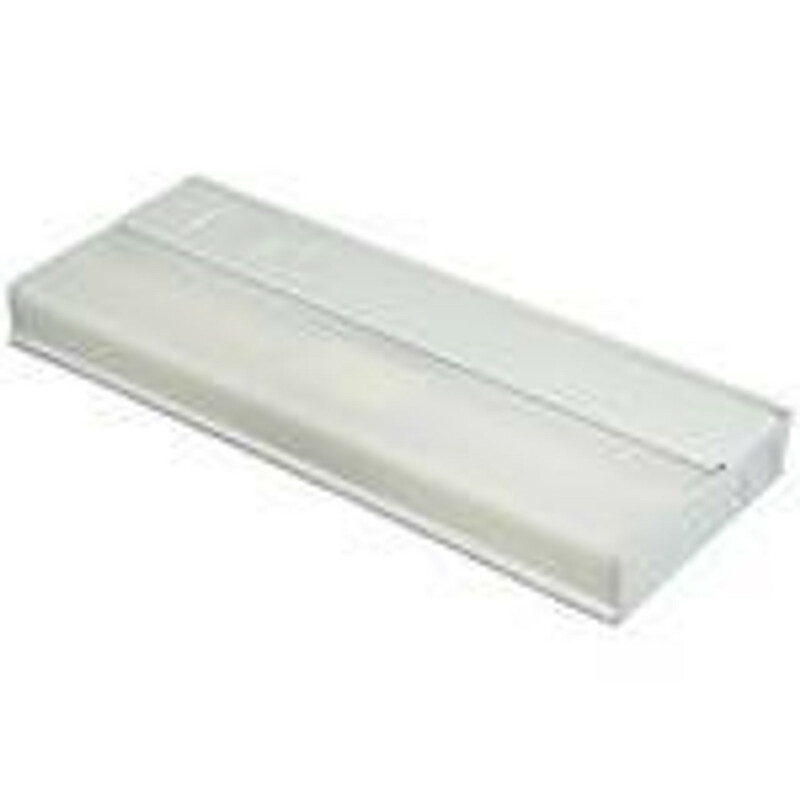 Since most homes are already wired for 120v system, LED Light Bars are a popular choice for relighting and retrofit projects because no additional changes to your electrical system is needed for installation. What are LED Puck Lights? 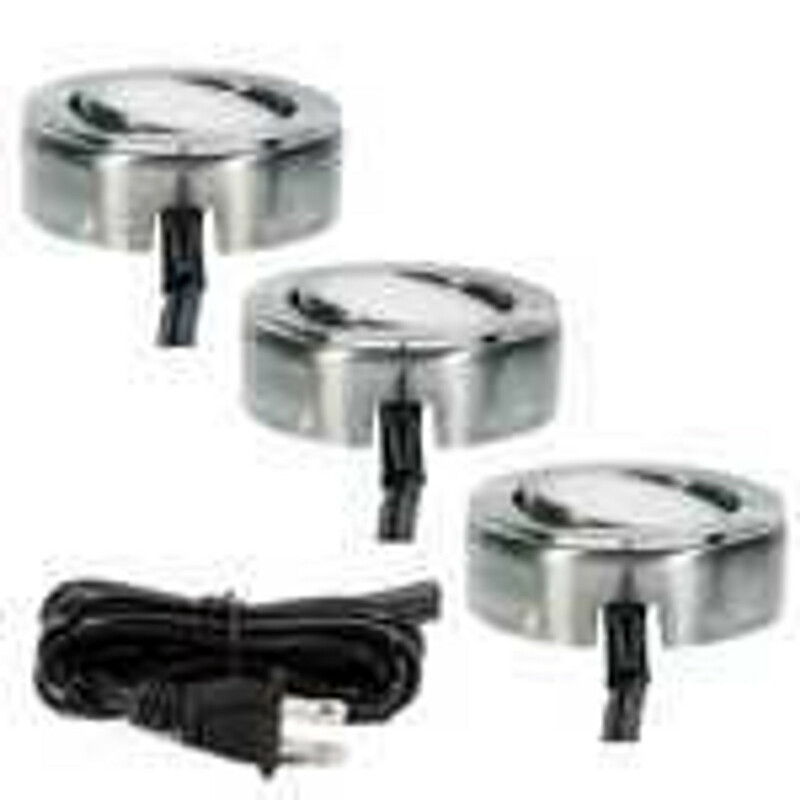 LED puck lights are circular, "puck" shaped light fixtures that produce a focused top-down light output. They are commonly installed under kitchen cabinets for counter top illumination or directly placed on the ceiling as overhead lights. 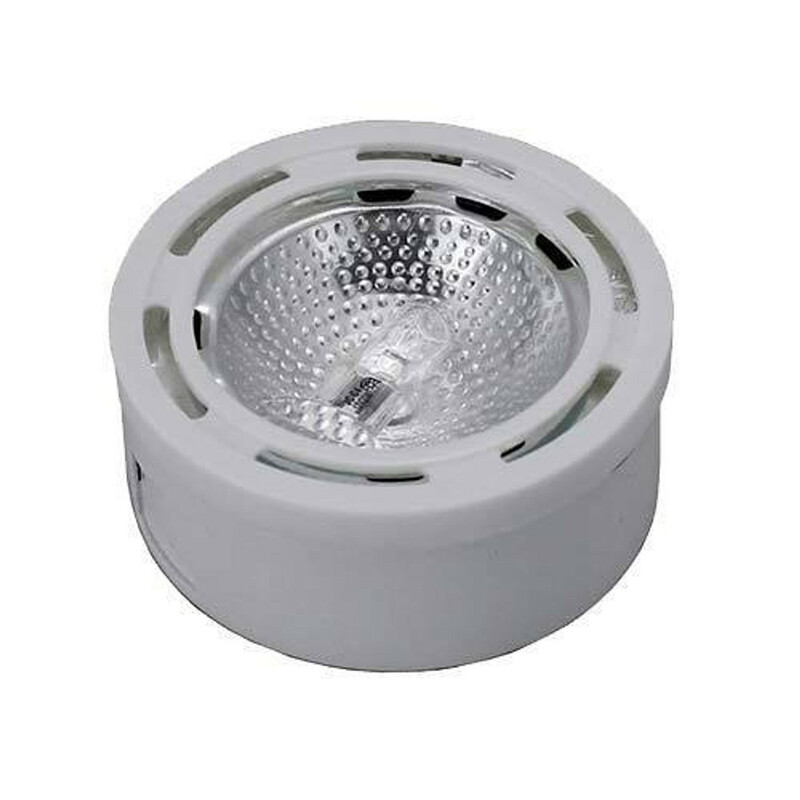 Accent lighting is another popular use for LED puck lights especially when paired with a dimmer and warm light output between 2500 and 3000 Kelvin. LED, Fluorescent, Xenon or Halogen Kitchen Lights? Knowing whether you need an LED, fluorescent, xenon or halogen light source is key when planning for your kitchen area illumination. Each has its pros and cons, so it's important to know ahead of time what type of kitchen lighting you require. Halogen is a type of incandescent light that use a tungsten filament and inert halogen gas for illumination. This a tried and tested light source technology capable of high light output, making it ideal for task lighting in commercial and industrial applications. It runs on standard line voltage (120v) which is how most residential kitchens are wired. Halogen & xenon Light bar fixtures are a popular choice for kitchen lighting. Xenon lights also use gas to produce illumination by passing electricity through high pressure xenon gas. Unlike halogen, xenon lamps produces remarkably little heat, perfect for operating long hours without thermal damage on sensitive countertop surfaces or on the fixture itself. 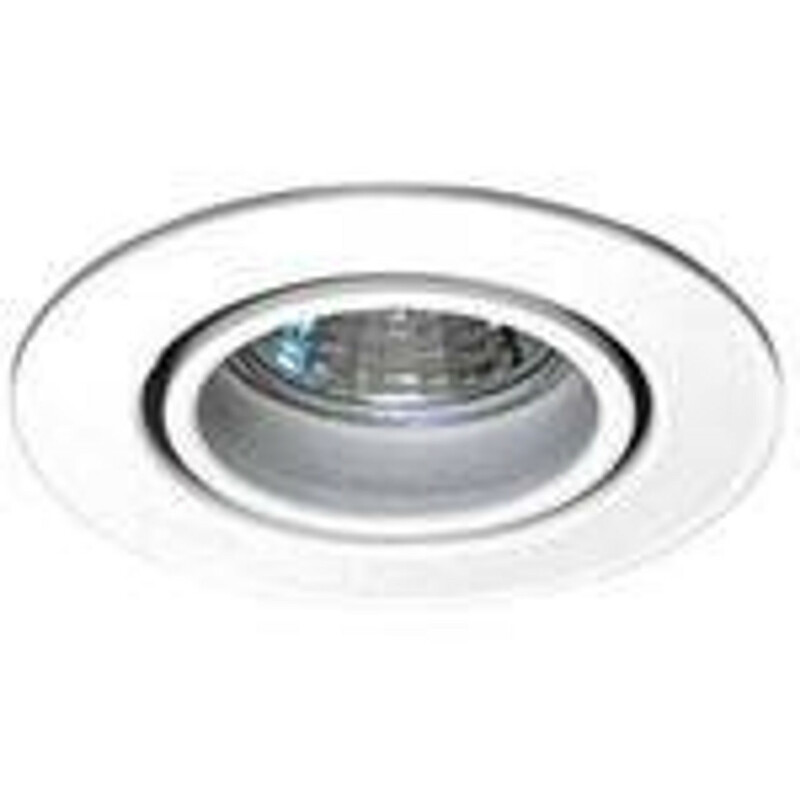 The light output is not as strong as halogen which prevents glare reflections from shiny surfaces like granite. Xenon & Halogen puck lights are an excellent choice lighting kitchen cabinets and can be used as overhead lights, depending on the bulb type. Fluorescent lamps have been around since 1903 and after many improvements, it now has a good reputation for reliability, performance and affordability. The bulb or tube has a phosphor coating inside that glows when activated by ultra violet light which is produced by electricity passing through low pressure mercury-vapor gas. Fluorescent lighting is great for kitchens and work areas, since it creates smooth & even light with no hotspots. They are also energy efficient and has minimal heat build up like xenon lights, making it perfect for long hours of operation. Since they are not dimmable, fluorescent lights may not be the right choice for everyone. LED or Light Emitting Diodes, is the latest technology in the world of lighting. A highly energy efficient light source capable of delivering high output comparable to halogen lights, LED's offer full range dimming capabilities and deep customization in color temperature, light diffusion and output. For those looking for a modern, efficient and customizable kitchen light source, then LED's are a no brainer. Since it requires low voltage power to run, make sure your kitchen area is equipped with a transformer or low voltage electrical outlet prior to installation. Recessed Lighting is ideal for illuminating inside kitchen cabinets. It's recessed installation allows it to remain low profile and unnoticeable, which is perfect for lighting inside display cabinets with glass or transparent doors. The adjustable gimbal feature also makes directional lighting a breeze. Simply rotate the housing to set the light to your desired orientation and get the exact lighting angle you need. Our diverse line of hardwired & LED compatible under cabinet light fixtures are popular for lighting display cases, accent lighting for kitchen counter tops or creating mood & accent lighting. 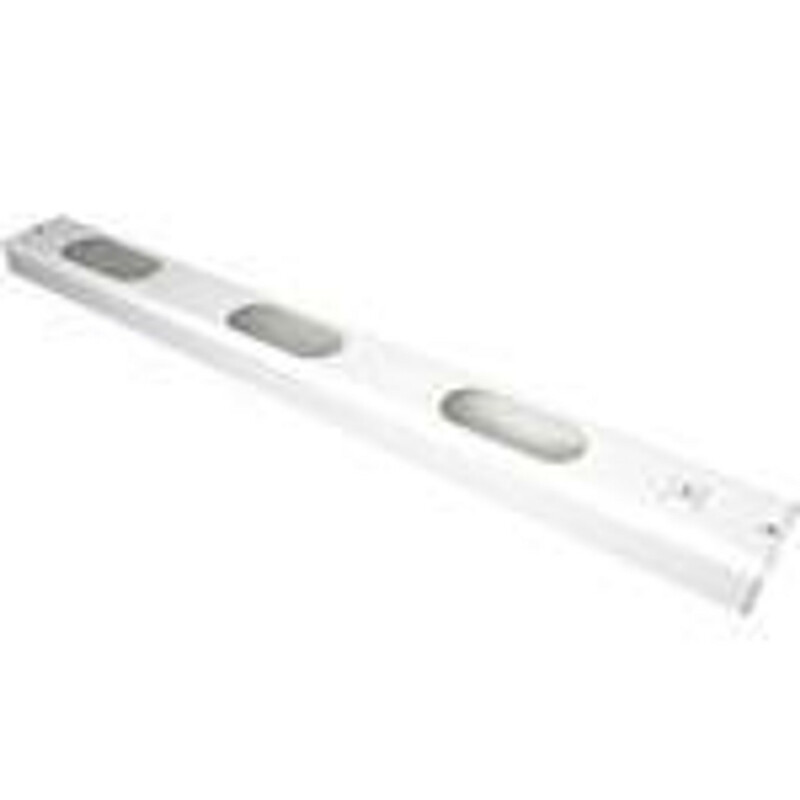 We offer both puck light and bar light fixtures in a wide variety of designs. Available in LED, halogen or xenon lighting options, our expertly designed hardwired fixtures can accommodate a variety of lighting needs.